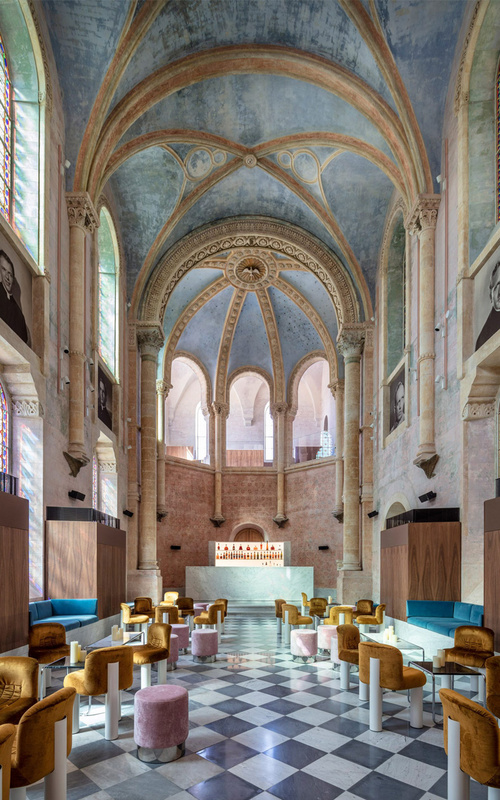 The famous British architect John Pawson, together with the Israeli architect Ramy Gill, reconstructed the former monastery, built in 1878, turning it into a modern hotel the Jaffa, located in Tel Aviv. 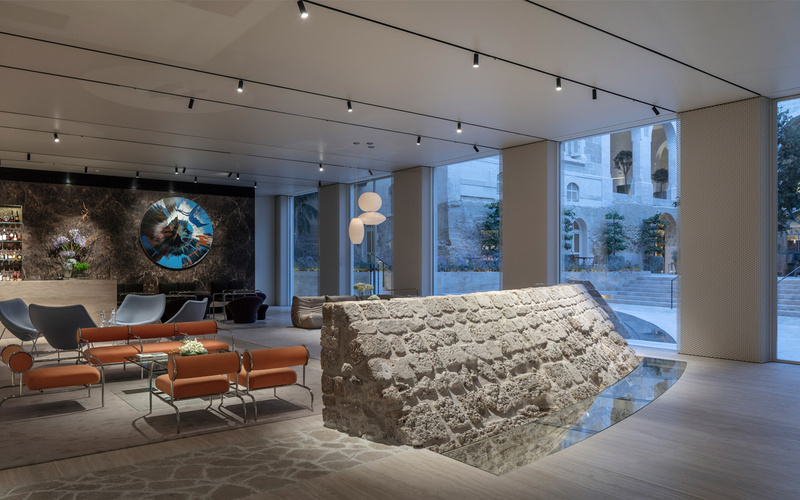 The architects attached a six-storeyed wing to the historic building, decorated the interiors, as well as restored plaster, stained-glass windows and masonry, which date back to the twelfth century. 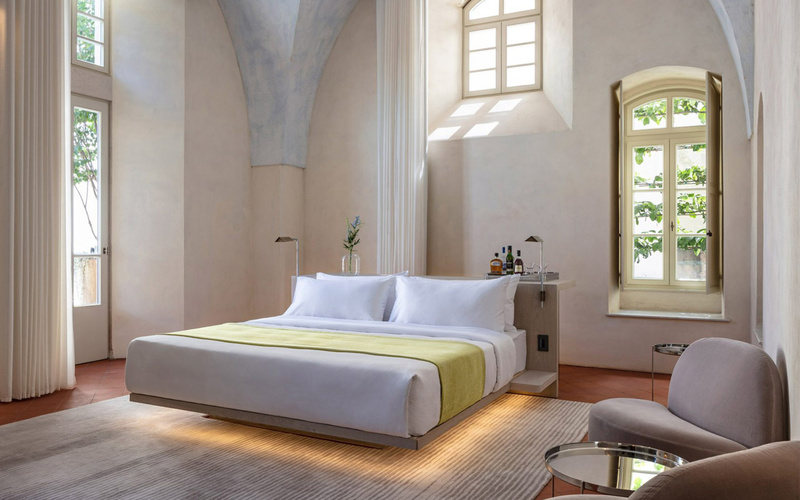 102 rooms and suites, 32 private apartments, each of which has its own entrance, an outdoor pool, a lounge bar, restaurants and a board game room – all this is perfectly combined with ancient high vaults, columns and arches. 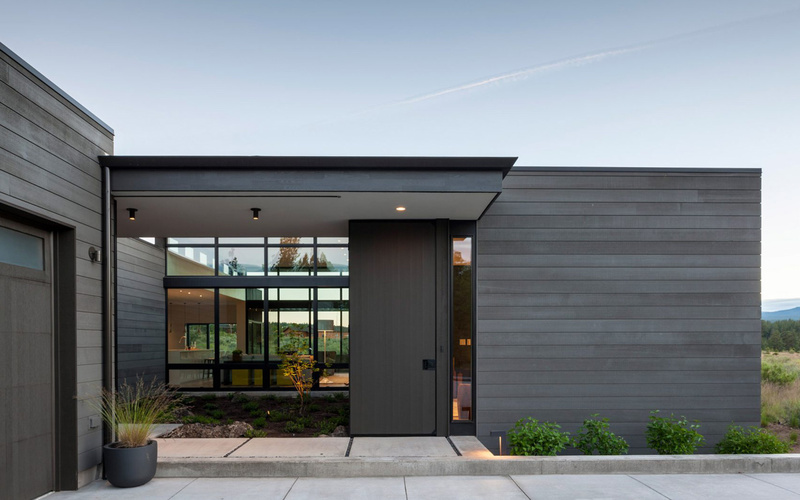 American companies DeForest Architects and NB Design Group created a modern single-storey house, an area of 308 m² (3315 ft²), using a series of sliding panels that, depending on the situation, hide or show the interior details. The panel, located at the entrance, hides or opens the central courtyard. Panels, located inside the house between the living room and the master bedroom, hide the bedroom, fireplace, TV and wardrobe, and the hinged panel in the seating area turns it into a guest bedroom. 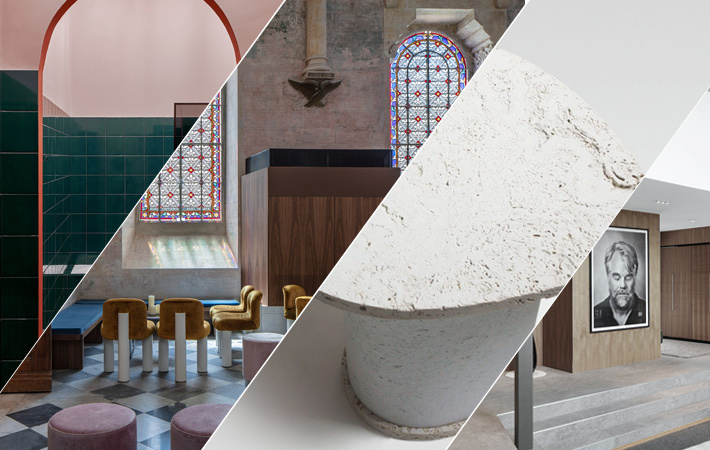 The design team used a discreet palette of materials and colors. 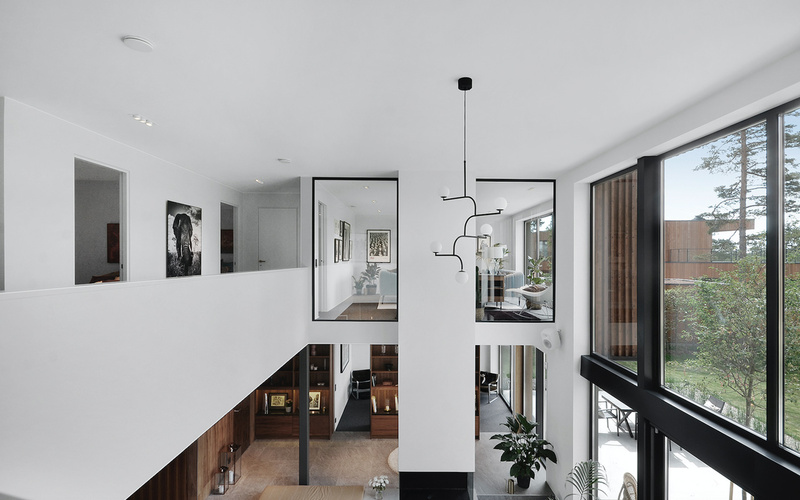 Wooden floors are combined with white walls and modern decor. And the casing of ash-gray wood allowed the house to merge into the surrounding landscape. 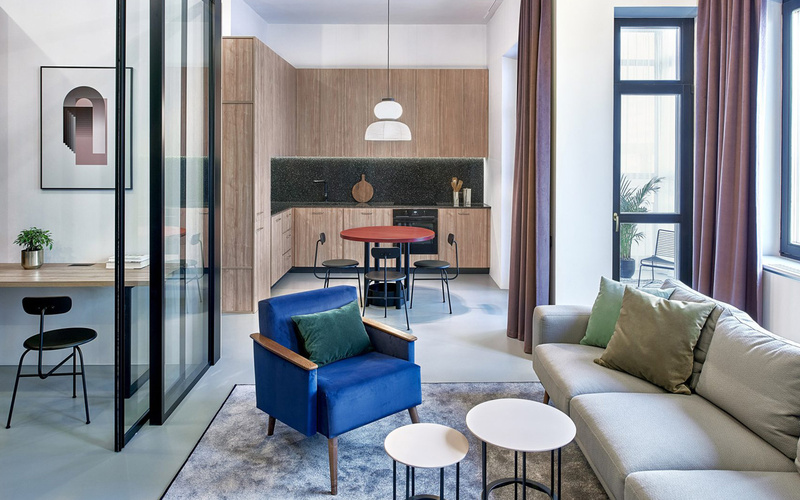 The interior designer from Kiev Lera Brumina designed the interior of the Minsk apartment with a total area of ​​99 m² (1065 ft²). Apartment with high ceilings and large windows, located in a quiet green district. The windows of the apartment face one side, so the apartment is conditionally divided into two parts. 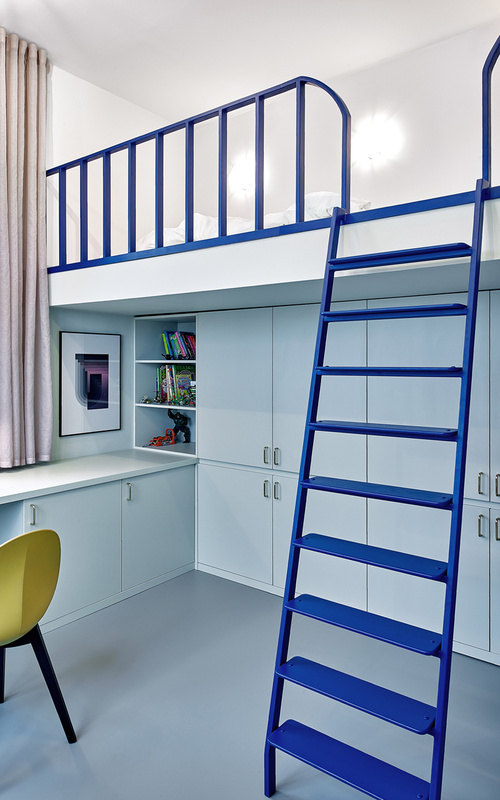 In the lighter part there is a children’s room, a living room and a kitchen. A bedroom and a home office are separated from the living room by a sliding glass door, which allows the light to penetrate into the rooms. A bathroom, a restroom, a hall with built-in storage systems and a utility room are located in a less light part of the apartment. All cabinet furniture, partitions and mirrors are made to order according to the sketches of the designer. And a certain color or combination of colors prevails in each room, which also occur in accents in other rooms. 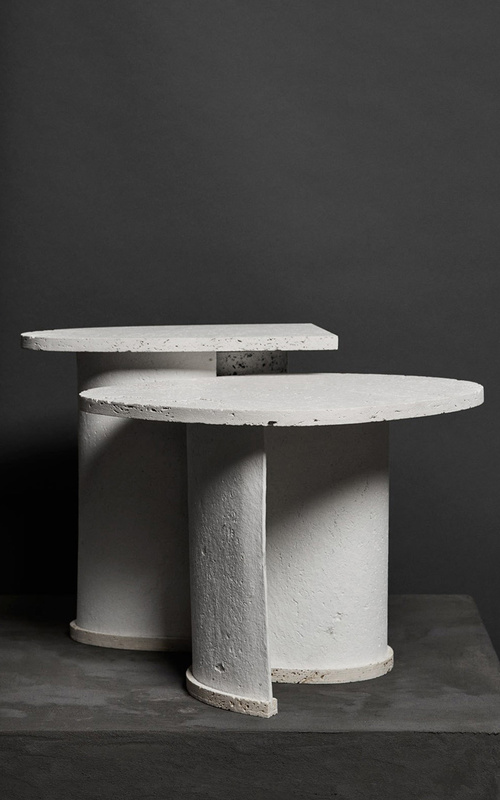 Belgian designer Charlotte Jonckheer created tables with stone tops, supported by material from recycled paper and rock dust. 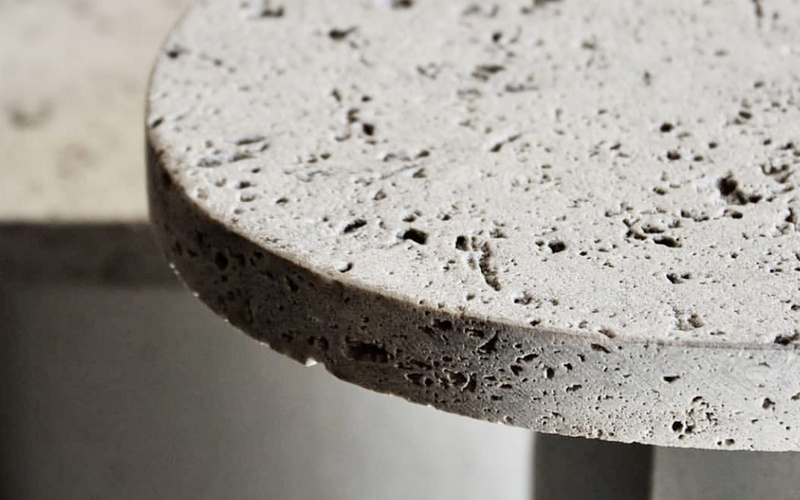 Chaud, the so-called tables, as well as the material that Charlotte Jonker developed during her research on topic – how outdoor materials, such as stone, can be warm and soft to the touch. When the sheets are still wet, they can be turned into any shape using a mold, and subsequently can withstand the weight of the stone. 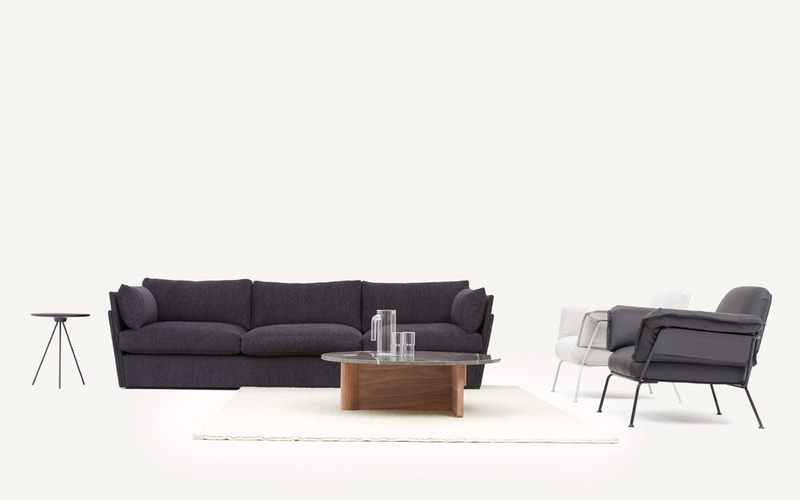 Designer Tim Webber from New Zealand presented an assortment of furniture for residential and commercial premises. 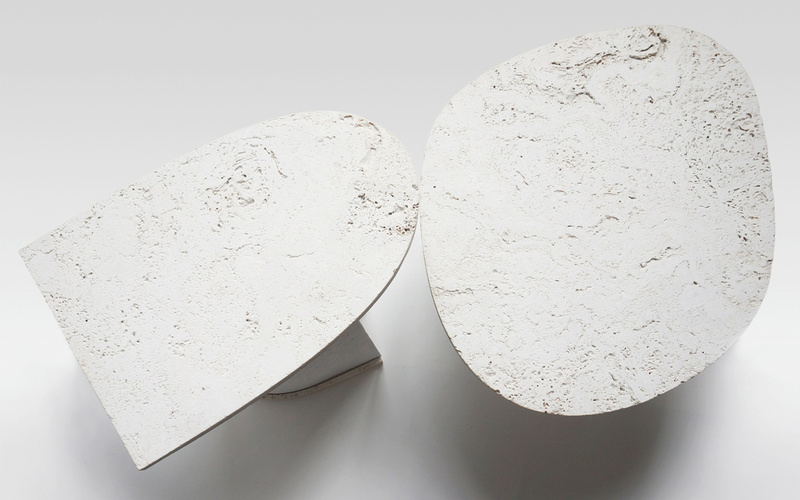 Inspiration for this collection was the sketches of old metal spinning tools for a lathe. 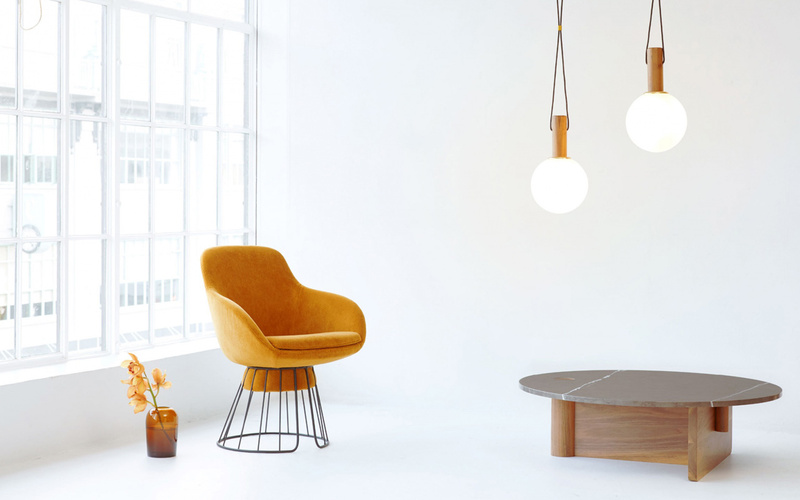 The collection includes tables, armchairs, a sofa, a rack, a bar stool and lamps. 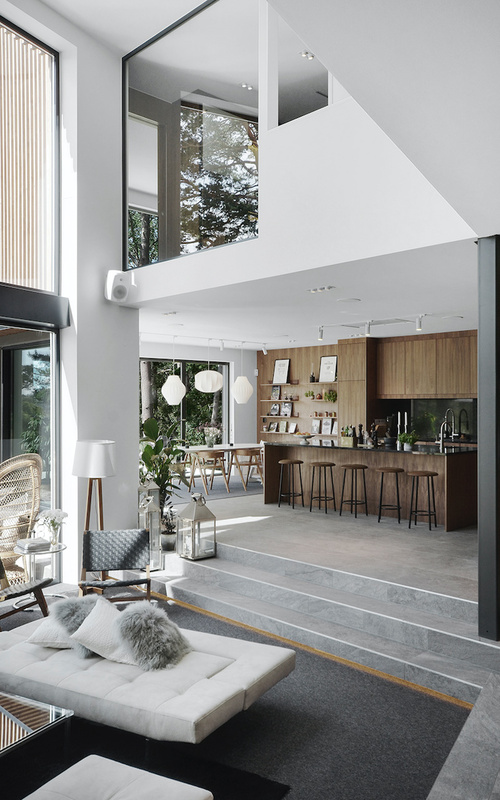 The most successful blogger in Sweden, Isabella Löwengrip, recently bought a new house, an area of ​​352 m² (3789 ft²). 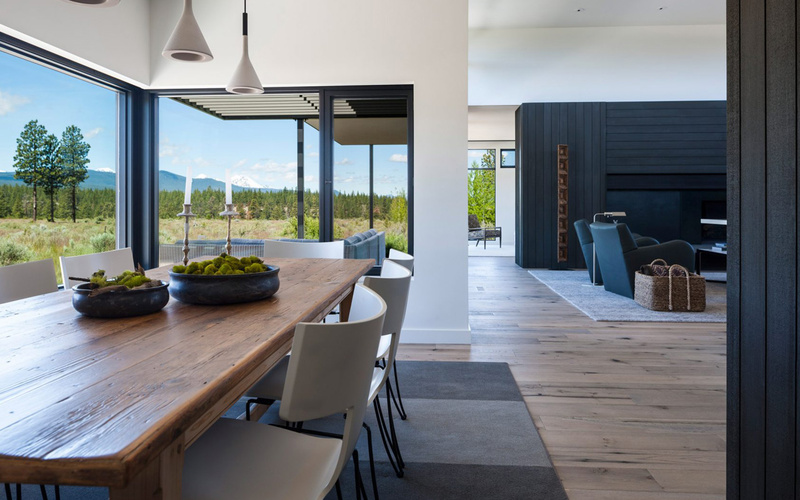 High ceilings and floor-to-ceiling windows allow to fill with light the space of the interior. There are nine rooms in the house, three of which with bathrooms, as well as dressing room, three large terraces, a fireplace, a kitchen with access to the pantry and a wine cellar. And next year, Isabella plans to build a swimming pool. Good mood to all and up to new meetings!